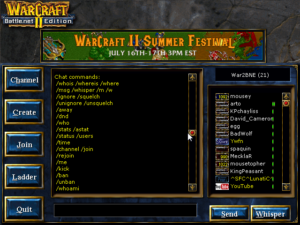 It’s almost time to start playing Warcraft II! First, we’ll go over how to make the game run better on modern computers, then we’ll give some tips for interacting with our online community. It’s strongly recommended you take the time to read this guide — it will help you avoid the most common obstacles that can get in the way of enjoying this timeless and challenging RTS! 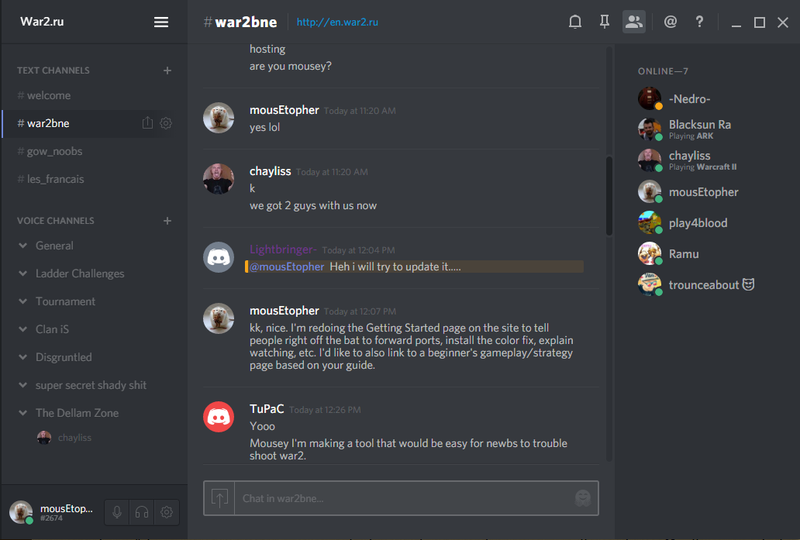 After you download & install War2combat follow these steps to fix common problems for newer computers. 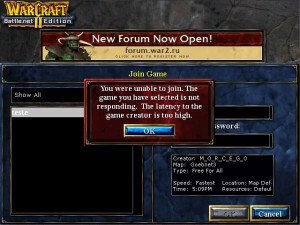 A lot of the time new players can’t host matches because other players receive a “Latency is too high” message when they try to join your game. 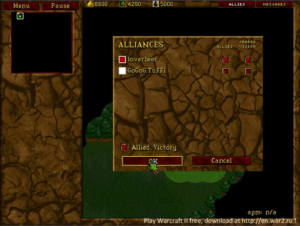 The solution is to forward port 6112 (used by Warcraft II & other Blizzard games) in your router. It takes about 10-15 minutes and should be a one-time fix. Read our step-by-step port forwarding guide here. 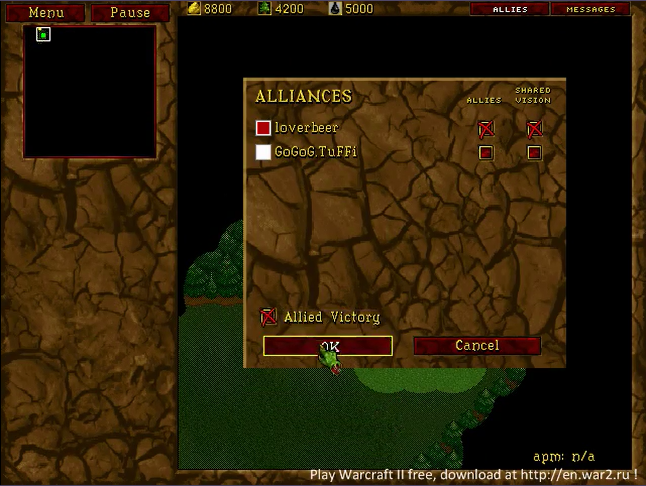 Warcraft II has a lot of display bugs on Windows 7 and newer operating systems (it’s twenty years old after all). 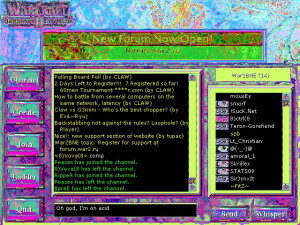 These bugs affect the chat lobby only (not the game itself) so they’re more annoying than anything, but as of 2015 we finally have a great fix for them! The best part is it literally only takes 1-2 minutes to do! Read our guide to installing the ddraw fix. Our server requires all players to take screenshots on request during games to prevent potential cheating (aka “hacking”). It’s very helpful to learn in advance how to take screenshots, how to retrieve them from your hard drive, and where to upload them to avoid being accused of hacking & potentially banned. Read our complete screenshot guide. Learn how to navigate the server and use basic commands once you’ve created your account and logged in. 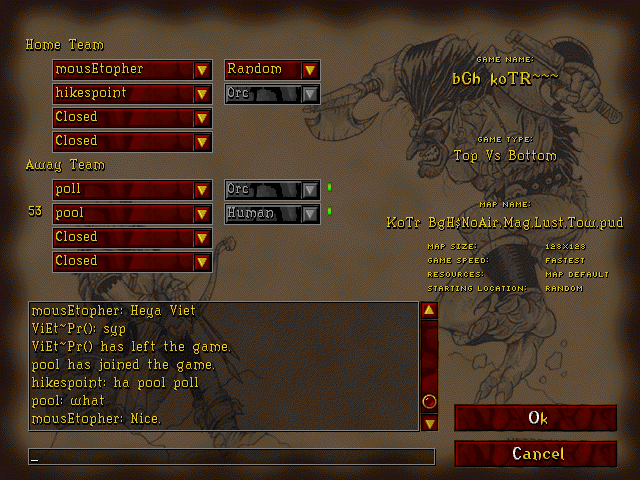 After you login to the server you’ll see the main lobby / chat room. 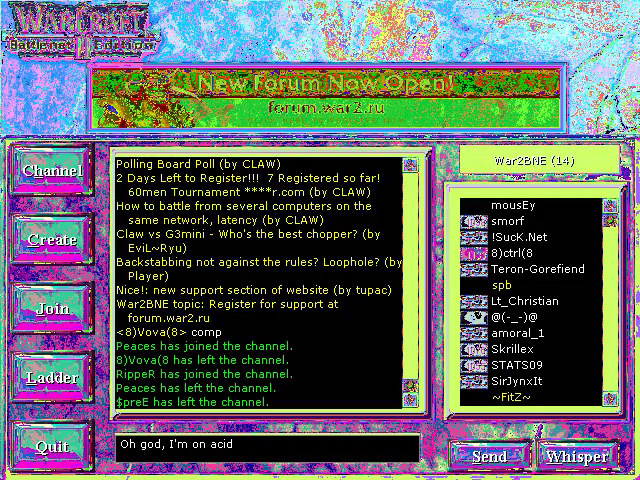 Along the bottom of the screen is a black bar where you can type messages, and the central window above it is where they will appear. Everything you write here can be read by other users. The list of users in the same “channel” (chat room) as you is on the right. You can double click a user’s name to view their profile. The buttons on the left allow you to explore other parts of the server. 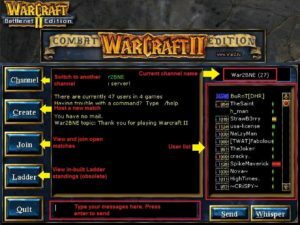 Server commands can be used to display information about games and other players, to view player stats, send private messages, change channels, and many other things. All commands are typed in the chat box and begin with a forward slash ( / ) — you can view a list of all commands by typing the /help command and pressing Enter. View a list of the most common server commands. Click the blue “Join” button on the left side of the screen to view a list of open games. Double clicking a game name in the list will take you to the game lobby. If the game has a password you will need to highlight the game name, type the password into the field on the right, then press Enter. 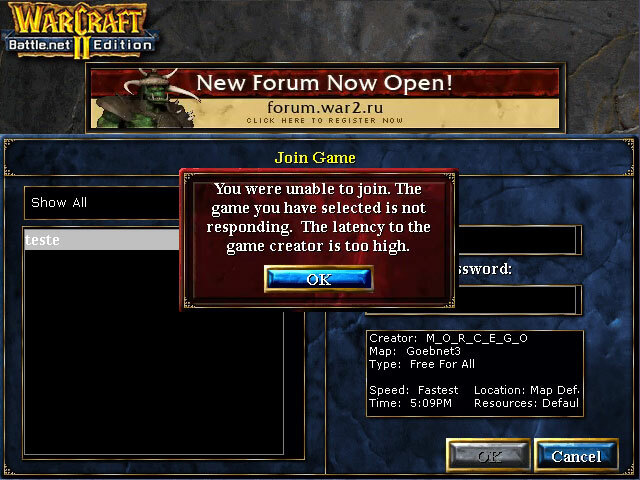 If you try to join a game and see the “Latency is too high” message, don’t worry — it’s a problem with the game host, not you. 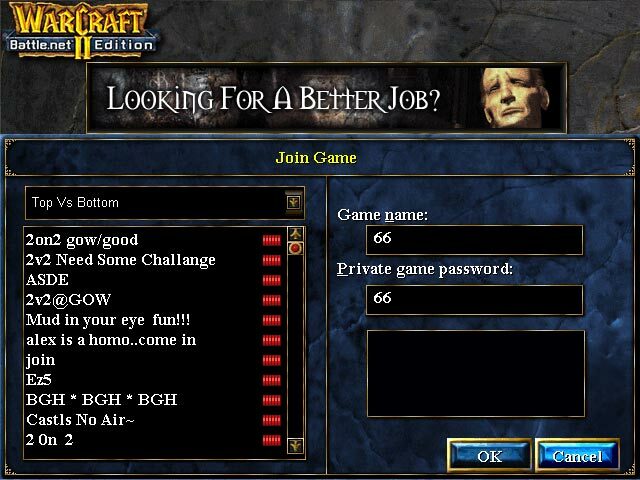 You’ll encounter a lot of War2-specific acronyms, slang, and shorthand while playing on the server (in addition to standard Internet slang). If you don’t know what it means it can make conversations pretty incomprehensible, especially for non-native English speakers, so it’s a good idea to brush up on it beforehand. Check out our comprehensive list of War2 lingo. Now that you can talk to other players and join games, it’s time to start playing. Follow these guidelines for success! On certain game modes it’s necessary to manually ally your teammates at the beginning of the game. You do this by clicking the “Allies” button in the top right corner, then clicking the boxes for both “Allies” and “Shared Vision” beside the appropriate player name(s). You should also check “Allied Victory” and then click “OK”. Allying is VERY important! Make sure to pay attention to chat messages so you know who you should ally (you can get you kicked out of future games if you don’t). You can send messages during games by pressing Enter, typing your message, then pressing Enter again to send it. You can send messages to allies only by pressing Ctrl+Enter to begin the message. Messages appear at the bottom of the screen for several seconds, then disappear. Make sure to always pay attention to written messages & reply as needed — good communication is a very important part of team games. Veterans will commonly give new players tips, tell them where to send their units, ask for help, etc. When you’re very new it can be impossible for you to join high level games without fatally unbalancing the teams. In that case many players will still let you watch as long as you don’t interfere with the match. Read our watching guidelines here. To make watching more fun you can download our handy utility War2Observe which lets you see resource and unit stats from each player’s POV (assuming you begin the game as a watcher and don’t build anything). You can grab a copy from our Downloads page. When you first start playing you probably won’t have a clue what’s going on, what units to get, where to place your buildings, or how to manage your resources effectively — that’s normal. There are a handful of very basic guidelines you can follow to streamline your playing and start thinking strategically. Read it all in our New Player Crash Course! You’ve played your first matches, you’ve got the basics down, now it’s time to leverage technology to step up your game! 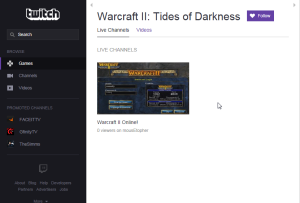 Streaming lets you broadcast WC2 to Twitch.tv so people can watch you play live. It’s a great way to increase exposure to the game & our server, and also makes uploading replays to YouTube a breeze! We have a custom site (War2TV) for viewing live streams. Follow our step-by-step guide to set up your stream. 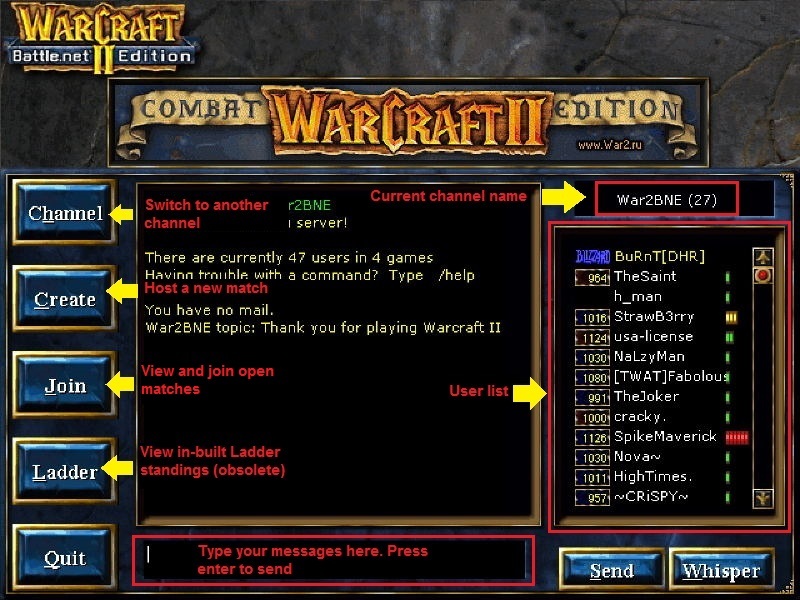 Since we’re a small server there aren’t always a lot of open games to choose from — one option is to alt+tab out of WC2 and use our Game Monitor webapp to notify you of newly hosted games while you do other things. 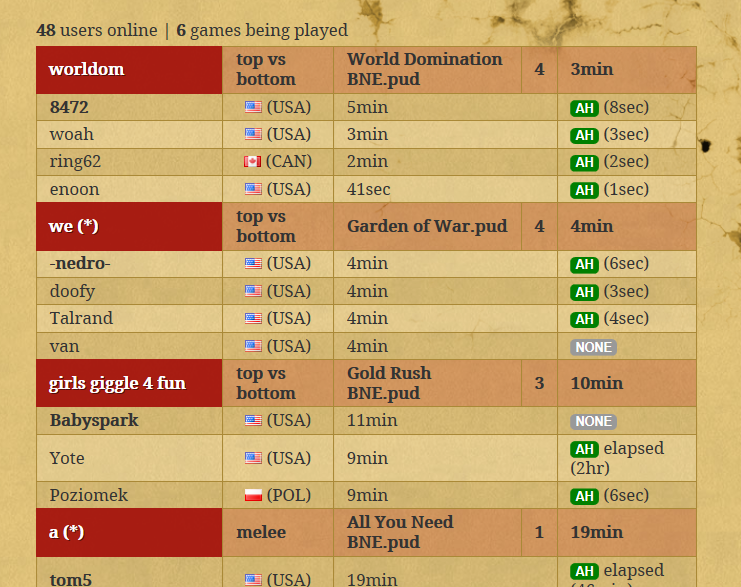 We also have a status page that shows who’s logged on and how many matches are being played. 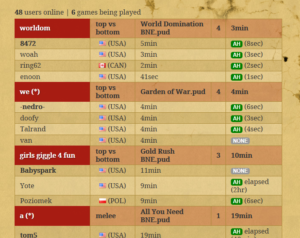 You can use this to get an idea of the overall server activity level and how likely you are to find suitable matches. 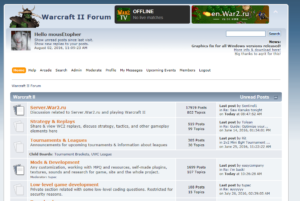 Our community forum is a great place to meet other players, ask questions, and chat about Warcraft 2. It’s also another good way to find potential opponents (and ensure that they’re near your skill level). We have a dedicated thread for new players to post their contact info so they can get in touch with one another and set up times to play. 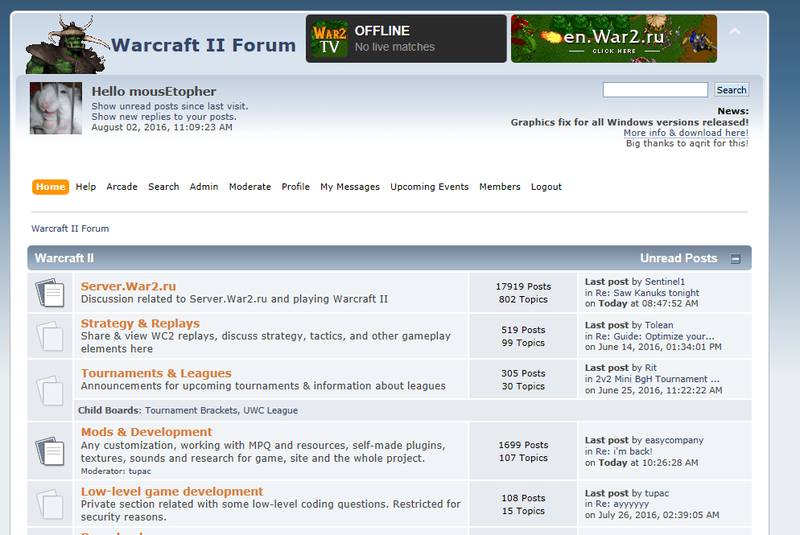 View the noob recruitment thread on the forum. Discord is a free text & voice chat client for Windows, Mac, Android & iOS (and also a web version) that lets you hang out & chat with other players outside the server. It’s a fast, ad-free Teamspeak alternative for in-game voice chat, and also a great way to get in touch with me (mousetopher) if you need help with anything! 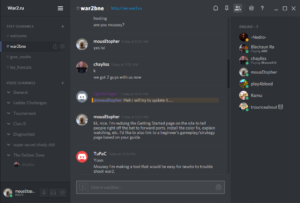 Connect instantly to our free Discord server. Warcraft II is an extremely complex and nuanced game that can appear deceptively simple at first blush. It requires speed, precise unit control, careful resource management, strategic thinking, and situational awareness — all in real time. Needless to say the learning curve can be very steep, but totally worth it in our opinion. 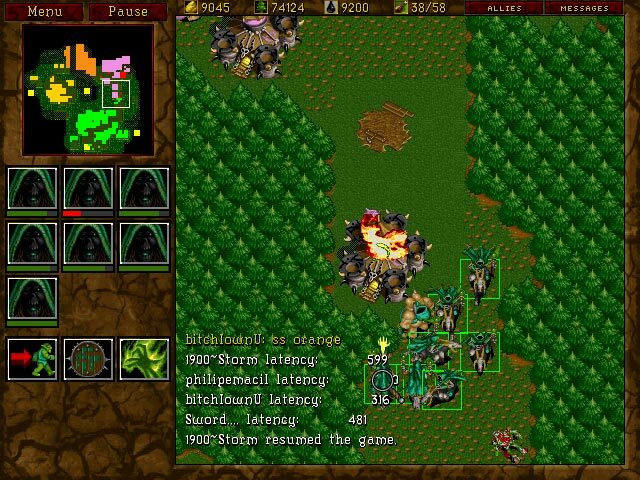 High level WC2 matches are fast-paced and intensely challenging, which is why people continue to play it twenty odd years later! You’ll get the most enjoyment out of this game if you’re willing to invest some time into learning & understanding game mechanics and basic/intermediate strategy. After you’ve got the basics down you’ll be much more effective in online matches, and once you start to really understand what’s going on in the game it becomes a lot more fun!